Bruce Murray graduated from McMaster University in 1984 with a Bachelor of Computer Engineering. Two years later he became a Professional Engineer with the PEO. Following graduation, Bruce has had a successful 20-year career, which has focused on advanced software applications for the banking and telecommunications industry, emerging electronic financial point-of-sale transactions, e-payments, e-commerce, and commercial grade IT. During his career, Bruce has gained extensive development experience in both hardware and software based products. 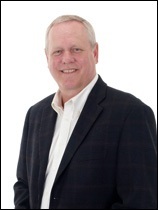 Bruce has spent the last ten years in various senior executive management roles. Bruce's experience in domestic and international business has provided him with a broad business perspective. Throughout his career, Bruce has continually demonstrated superior leadership qualities with the ability to deliver results and achieve corporate objectives. Brian Luchak graduated from the University of Waterloo in 1979 with a Bachelor of Mathematics. Following graduation, Brian has had a successful 30-year career focused on advanced software for the banking and telecommunications industry, emerging electronic financial point-of-sale transactions, e-payment, e-commerce, loyalty programs and general retail applications. 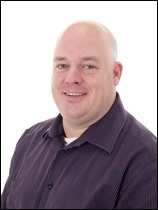 During his career, Brian has gained extensive experience in the areas of client server software development, network infrastructures and technical operations. 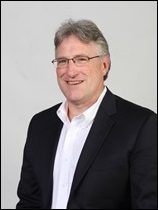 With over 20 years in various senior executive roles, Brian was responsible for software development, network design, computer operations, technical support and customer service. This experience has provided him with a broad understanding of the overall technical infrastructures and software solutions required by businesses. Itai Sela graduated with honors from the University of Manchester in 1999 with a Bachelor in Business Management. 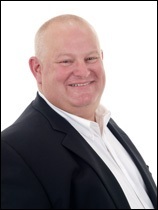 Over the past 15 years he has become a Subject Matter Expert in the payment industry, specializing in Smart Cards (EMV), Contactless, NFC, Training, Consulting and Products. Itai is an internationally experienced trainer and consultant with a sound reputation and an exceptional track record of delivering proven results in both business and technical environments constrained by tight budgets, limited execution time frames and complex user requirements. Throughout his career in the payment industry, Itai has delivered over 100 payment trainings and participated in a number of committees and forums including planning and implementation of EMV, Contactless and NFC projects around the world. Itai has continually demonstrated superior leadership qualities with the ability to deliver results and achieve corporate objectives. 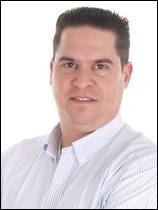 Graham Baldock graduated from the University of Waterloo in 1999 with a Bachelor of Mathematics and has more than 15 years of experience in the electronic payments industry as a software developer, product manager and industry consultant. He has extensive expertise in payment applications systems, PINPad development and integration, system testing, certification and key injection systems. 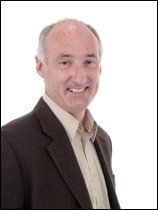 Graham has broad industry knowledge and has been involved in numerous EMV projects, involving training, system design, development, integration and certification. Graham has continually shown leadership in his ability to manage projects, meet deadlines and exceed expectations. Dave Ewald graduated from the University of Wisconsin-Madison in 1982 with a Bachelor of Science in Computer Science. For the first twenty years of his career he developed firmware for a variety of embedded and messaging systems, including data acquisition systems for defense applications as well as POS terminals. After focusing on project management for a number of years, he become involved in the payments industry working with a financial instant issuance solution. As that solution was introduced internationally (outside the US), he provided support, technical consulting, project management, sales management and business development for the solution in the Middle East and Africa. In recent years he has been involved with EMV consulting and the US EMV Migration. Jeff Hill graduated from the University of Waterloo in 1980 with a Bachelor of Mathematics. His career has spanned 30 years, almost entirely in the high-tech industry and has included roles in system programming, systems engineering, product development, product management, business development and sales. Living and working in France for five years enhanced Jeff's professional scope to include continent-wide responsibilities for a line of products for IBM and subsequently managing sales and supply-lines for a key-supplier to IBM. Jeff has enjoyed roles in both government and privately owned companies, varying in size from a handful of people to the largest multi-national corporations. Colin Marsh is a computer scientist finishing his education in 1994 at Ryerson Polytechnic University. In his 16 year career, he has specialized in the electronics payment and point of sale industries. 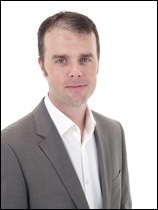 Colin is a software and system architect with experience designing large scalable solutions. He brings excellent skills in customer service, project management, and I.T. consulting. He is a veteran in the industry and can bring leadership and assured success to any project. 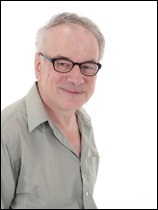 Richard West has a Masters degree in theoretical chemistry and a 35 year career in software. He has worked on everything from simulators to restaurant management systems. For the last 20 years he has worked on financial point-of-sale applications for terminals and PINpads. Richard has experience in designing and writing software from drivers which talk directly to the hardware through to the user interface. He has worked with hardware from many different manufacturers and his analytical skills allow him to take on new projects in a timely manner. Richard has been a key developer in numerous EMV solutions for the Canadian market. Carolyn Comrie graduated from the University of Waterloo in 1985 with a Bachelor of Psychology. 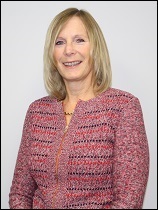 Over the past six years, Carolyn has worked in the ATM Solutions and Point of Sale Industries and has held roles in several areas, including Business Development and Human Resources. 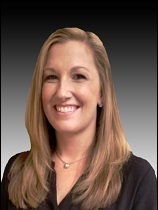 Carolyn is part of the B2 Payment Solutions Logistics team and is responsible for coordinating all customer orders. Kristin Eckmann graduated from Colorado State University and holds a Bachelor’s degree in Journalism with a concentration in public relations. For nearly 15 years, Kristin has had a successful career as a senior public relations, marketing and communications professional and is recognized for helping build global brand awareness and successfully achieve business objectives. She has a proven track record of effective results and successful execution in marketing communication programs, as well as the knowledge and understanding of strategically working with global organizations across various vertical markets in the high-tech, cyber security and payments industry. This has provided the opportunity for Kristin to drive the development and strategy of complete communications programs--from conception and planning to implementation and tracking.